A brimstone and marbled white butterfly dance around orange welsh poppies, with the Malvern hills horizon in the background. 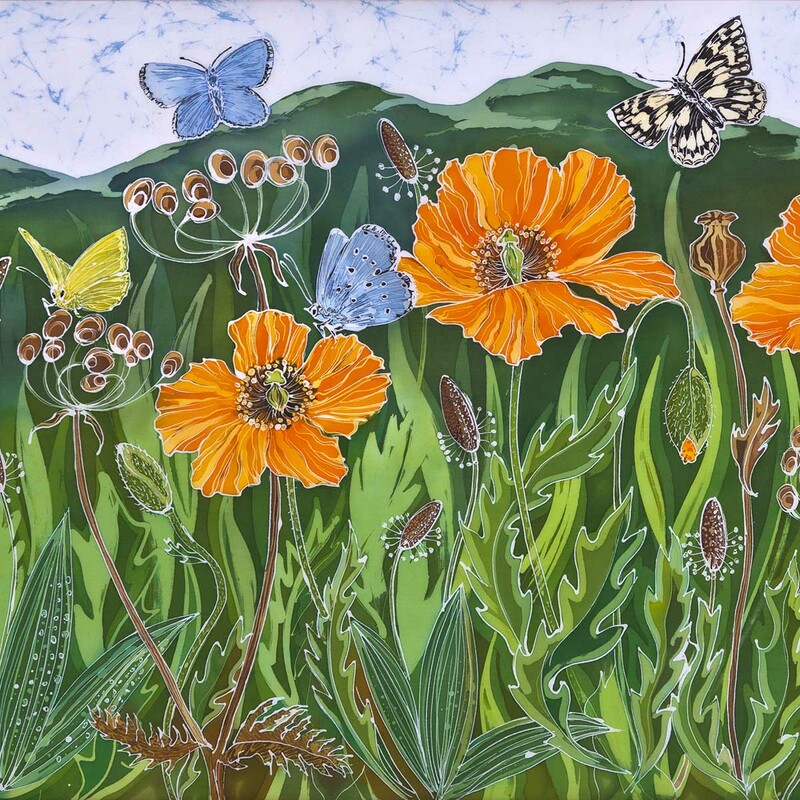 This batik design is lively and full of the natural colours of the British countryside. I was commissioned to batik a landscape with the Malvern Hills in the background, you can clearly see the Beacon and British camp. The foreground has the detailed flowers and butterflies that I love in exquisite detail. I produced one with orange poppies and another with blue Himalayan poppies in it. 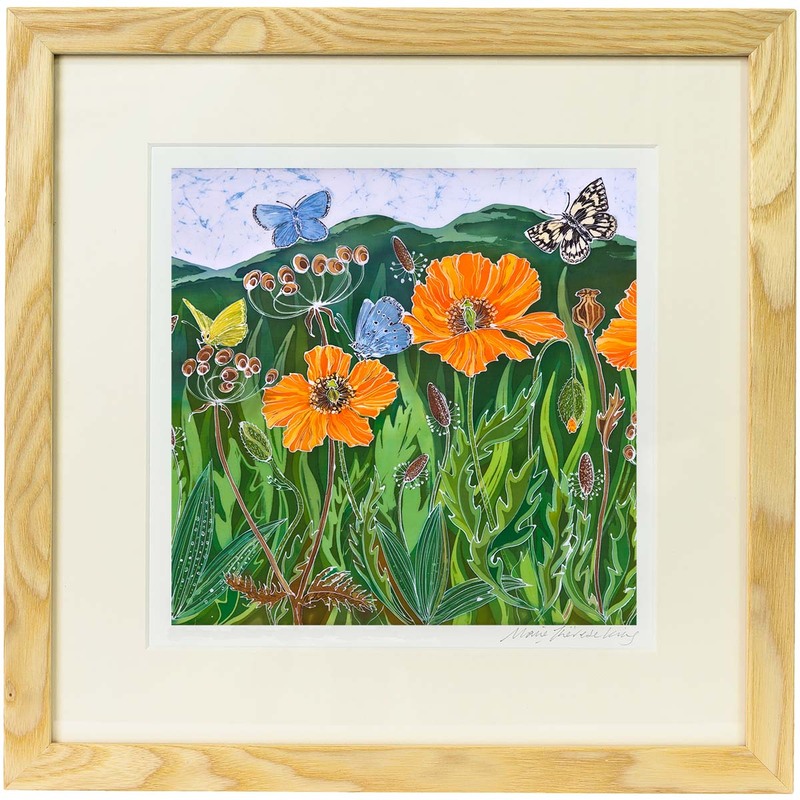 Both have been put into a square format but can also be purchased as a whole landscape image.